These prestigious awards, among the most sought after worldwide and equivalent to Bronze and Silver awards at other competitions, were made just hours before ‘Rainbow for a Rainbow Nation’ was applauded on the other side of the Atlantic. ‘Rainbow for a Rainbow Nation’s’ pencils included one each in the Earned Media Campaign (Wood), Innovative Media (Graphite) and Ambient Media (Wood). “It’s astounding,” said FCB South Africa’s Group Chief Creative Officer and CEO, “to think that the same piece of work was awarded on both sides of the Atlantic, in London at the D&AD and in New York at the New York Festivals, on essentially the same night. “We at Coca-Cola are just so proud to have been able to share ‘A Rainbow for a Rainbow Nation’ with South Africa; all these accolades are our proverbial ‘pot of gold’,” said Keith. 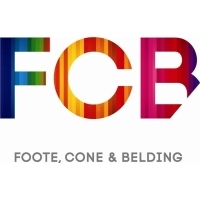 “I’m thrilled to be told I need to make more space on the awards mantel for ‘Rainbow’, and just so grateful for the fantastic collaboration that existed between Sharon and her team, and the team here at FCB Joburg on this project,” commented Deeb. FCB Joburg won a Grand Award in the Outdoor as well as the Avant-Garde category at the NYF while FCB South Africa was named as this year’s recipient of the Regional Agency of the Year for Middle East & Africa.